New South Wales is one of the leading information and communication technology (ICT) centres in the Asia–Pacific region—a world-class environment for data centres, data storage and managed services hosting. With its skilled workforce, concentration of multinationals and access to Asia, NSW is the ideal location to establish data centres. The world's ever-expanding use of ICT is creating unprecedented demand for data storage, especially data centres. As Australia's ICT capital, NSW offers unrivalled advantages for companies looking to establish data centres in the Asia Pacific. 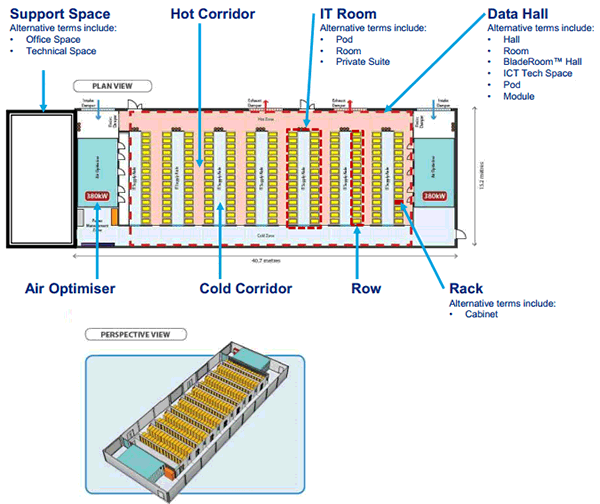 NSW has all the elements needed to create world-class data centres. The state is Australia's premier ICT market, producing 58% of Australia's computer, information and telecommunications services exports in 2015–16. NSW's ICT services exports were valued at A$1.9 billion annually in 2015–16. NSW also has leading telecommunications infrastructure, including nine landings of international high-capacity fibre optic cables that link the state to Asia, Europe and the United States. NSW is home to more ICT professionals than any other Australian state, with 107,600 people employed as ICT managers or ICT professionals in 2015–16. The state's capital city, Sydney, is the national headquarters for more multinational companies than any other Australian city, including ICT firms such as Amazon Web Services, Google, Microsoft and cloud computing provider Rackspace. 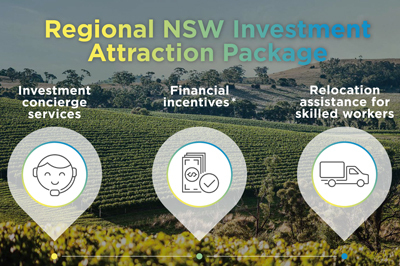 NSW is also located in a time zone that is perfect for doing business in Asia, and which bridges the key markets of Europe and the US. A number of ICT companies use their Sydney centres to manage service requests from around the globe, around the clock. Finally, NSW is the top-performing economy in a highly competitive country. The state accounts for around one-third of Australia's gross domestic product, and is larger than major Asian economies such as Hong Kong, Malaysia and Singapore. NSW is also governed by Australia's robust legal system and efficient business regulations. Many of the world's top ICT companies have established or are building data centres in NSW. This includes companies specialising in data management and managed hosting, such as Amazon Web Services, Dimension Data, Global Switch and Vocus Communications. For example, Rackspace, the world's largest provider of managed hosting services (where each client uses a dedicated Rackspace server), chose Sydney as the hub for its Asian operations. Given the large proportion of foreign multinationals headquartered in Sydney, Rackspace has access to the world's top companies, and the company can provide its signature 'fanatical' services to global clients based in Australia. Rackspace now employs 40 people in its Sydney data centre, with Australian citizens making up 90 per cent of its staff. The company is also looking to use its Sydney office to propel further growth in the region. details of government incentives, including payroll tax incentives and grant schemes.